With more and more cars on the road, statistics show a disturbing increase of car accidents in and around Davie, Florida requiring a personal injury attorney. Despite all the advertisements that tell you that speed kills, the number of negligent drivers in Davie, Florida is actually increasing. No matter the reason, there are many car accidents, and even though many do not lead to death, most of them leave devastating long lasting that can last your lifetime. With such a large number of Davie accidents, it is no wonder that the number of personal injury trials has also increased. If you have been in a Davie car accident, you should know that there laws available to compensate you for your injuries, and therefore, you should hire an accident attorney serving Davie that is prepared to enter a courtroom on your behalf. It is important to understand that many law firms do not litigate cases and will instead send your cases to a law firm like ours in order. Because those originating firms are only allowed a small referral fee for cases that are sent out, many will unwittingly implore you to settle a case at far less than what your case is worth. Insurance is typically available to compensate you for your injuries, and when insurance is not available, an aggressive attorney will seek compensation against the negligent parties personally. If you want to get the best outcome from a car accident, then you should have an aggressive attorney serving Davie, Florida next to you. In this way you can focus on your recovery, not on creditors seeking to be paid back for past medical bills. As mentioned before, you may receive a certain amount of compensation after an accident. The resolution of the case typically aides clients obtaining closure to overcome your past traumatic injury. In all too many cases, the fact is that car accidents will also leave lasting scars or injuries that will never fully heal. Nevertheless, you can obtain some justice in the form of monetary compensation. 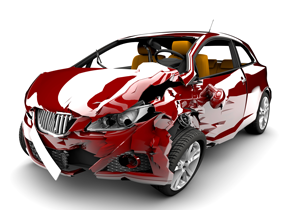 A Fort Lauderdale Accident Attorney at Tucker Law Can Help You! Tucker Law focuses a portion of its Davie services on personal injury and car accident litigation. Have you or a loved one been personally injured in an accident in Davie? If so, contact Davie Personal Injury Attorney and Car Accident Attorney Matthew Sean Tucker at Tucker Law with its office strategically located in Fort Lauderdale. Firm attorneys are available to meet throughout Davie. Tucker Law serves clients throughout South Florida, including West Palm Beach, Fort Lauderdale, and Miami-Dade. Call the Firm toll-free at 1-844-4-TUCKER or send us an email through the Firm’s website. Thereafter, a firm personal injury attorney will contact you for a free consultation.